We love shooting at Granville Island for the colors and texture - Here are just a few of our favorites from their Engagement Session! They were such fun to work with...we are excited and thrilled to see what's in store for their big day! It was a beautiful and sunny day in Vancouver! 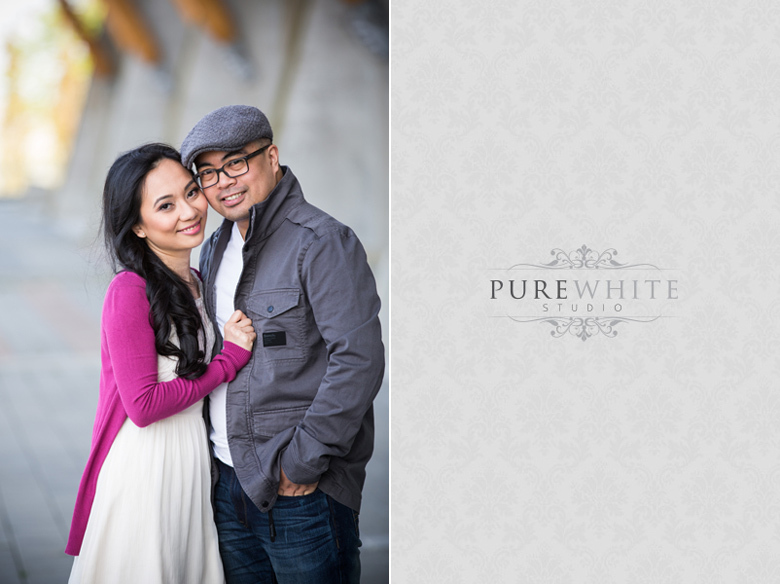 Annamaria and Natale had their urban Engagement Session in Gastown. We had a great time exploring all parts of the city and ended up with these amazing shots. Needless to say, we can't wait for their wedding day! What a beautiful day for an engagement session! We headed for the Richmond Olympic Oval for the first part of the day. Melanie and Vincent were such naturals in front of the camera! They mentioned that they were in a long distance relationship and traveled often to see each other...so what better location to shoot, other than the YVR Airport? We were able to capture some stunning shots of the sweet couple. We had such a blast, we can't wait for their wedding day!